A single gene is central in the development of several forms of polycystic kidney and liver disease, Yale School of Medicine researchers report online on June 19, 2011, in Nature Genetics. The findings suggest manipulating activity of PKD1, the gene causing the most common form of polycystic kidney disease, may prove beneficial in reducing cysts in both liver and kidney. "We found that these conditions are not the result of an all or nothing phenomenon," said Dr. Stefan Somlo, the C.N.H. Long Professor of Medicine and Genetics and Chief, Section of Nephrology and senior author of the study. "The less PKD1 is expressed, the more cysts develop. 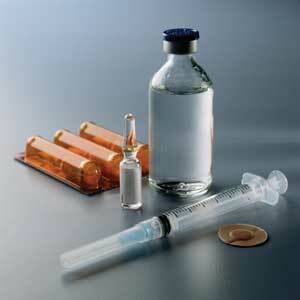 Conversely, expressing more PKD1 can slow the process." The most common form of this condition is called autosomal dominant polycystic kidney disease (ADPKD), a condition passed on to children from one parent affected with the disease that is found in 600,000 people in the United States alone. Two genes, PKD1 and PKD2, are responsible for the onset of this condition. PKD patients also develop cysts of the liver and Somlo and colleagues had previously identified families with identical cysts found only in the liver. They found two different genes were responsible for this related condition. 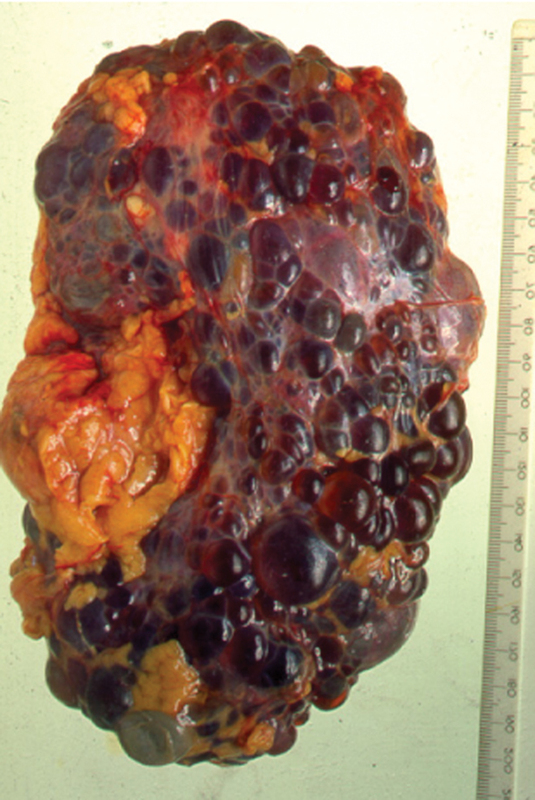 The researchers wanted to know how liver-only polycystic disease was related to ADPKD. In a series of experiments using both genetically engineered mouse models and biochemical studies, they found that the activity of only one of the four genes, PKD1, controlled cyst formation in the other forms of the disease. Experiments in mice showed that modulating dosage of PKD1 could slow disease progression. When Noah and Alexis Beery were diagnosed with cerebral palsy at age two, their parents thought they at last had an answer to the problems that had plagued their twin infants from birth. However, that proved only a way station on a journey to find an answer to the children's problems that combined their mother's determination, the high tech world of next-generation sequencing in the Baylor Human Genome Sequencing Center, and the efforts of talented physicians from across the country. In a report in the June 15, 2011 issue of Science Translational Medicine, researchers from Baylor College of Medicine, experts in San Diego and at the University of Michigan in Ann Arbor describe how the sequencing of the children's whole genome along with that of their older brother and their parents zeroed in on the gene that caused the children's genetic disorder, which enabled physicians to fine-tune the treatment of their disorder. More than that, it also took human genome sequencing to a new level – that of improving treatment for an individual. The Baylor Genome Sequencing Center has pioneered whole genome sequencing of individuals, beginning when they presented Nobel Laureate Dr. James Watson with his full genome sequence on May 31, 2007. It was followed up in 2010, when Dr. Richard Gibbs, director of the Baylor Human Genome Sequencing Center, and Dr. James Lupski, vice chair of molecular and human genetics at BCM, published information on Lupski's whole genome sequence, identifying the gene mutation that caused his form of Charcot-Marie-Tooth Syndrome, an inherited disorder. "When the Baylor HGSC sequenced Watson's genome, it showed we could do a whole genome sequence," said Dr. Lupski. "When we sequenced my genome, it showed that whole genome sequencing was robust enough to find a disease gene among the millions of genetic variations. Results of a small, observational study conducted at the University at Buffalo suggest that liraglutide, an injectable medication used to treat type 2 diabetes, also helps type 1 diabetics on insulin achieve optimal control of their blood glucose levels. If the findings are confirmed in a larger, prospective, randomized study now being planned by the UB researchers, they could mean the first significant, new treatment for type 1 diabetes since insulin was discovered and made available in the 1920s. The research has been published online ahead of print in the European Journal of Endocrinology. It also was recently presented at the annual meeting of the Endocrine Society in Boston, where it received recognition as one of the most outstanding abstracts presented and the best in the field of diabetes. "Since the development of injectable insulin, there has been nothing definitive in terms of a significant advance in type 1 diabetes treatments," says Dr. Paresh Dandona, UB distinguished professor of medicine in the School of Medicine and Biomedical Sciences and senior author on the study. "That is the tragedy of the type 1 diabetic. This study shows that liraglutide can provide even well-controlled type 1 diabetics with additional benefits that help them achieve even better blood glucose levels," says Dr. Dandona. The patients on liraglutide, which is marketed as Victoza, also saw a reduction in appetite and food intake and the paper reports that body weight significantly fell in patients who took the drug for 24 weeks. The unfunded study was a retrospective analysis of data. It was conducted at Kaleida Health's Diabetes-Endocrinology Center of Western New York, which Dr. Dandona directs. At the start of the study, all 14 patients had hemoglobin A1C levels of under 7, which is considered optimal. Smithsonian scientists have confirmed that chytridiomycosis, a rapidly spreading amphibian disease, has reached a site near Panama's Darien region. This was the last area in the entire mountainous neotropics to be free of the disease. This is troubling news for the Panama Amphibian Rescue and Conservation Project, a consortium of nine U.S. and Panamanian institutions that aims to rescue 20 species of frogs in imminent danger of extinction. Chytridiomycosis has been linked to dramatic population declines or even extinctions of amphibian species worldwide. Within five months of arriving at El Cope in western Panama, chytridiomychosis extirpated 50 percent of the frog species and 80 percent of individuals. "We would like to save all of the species in the Darien, but there isn't time to do that now," said Dr. Brian Gratwicke, biologist at the Smithsonian Conservation Biology Institute and international coordinator for the Panama Amphibian Rescue and Conservation Project. "Our project is one of a few to take an active stance against the probable extinction of these species. We have already succeeded in breeding three species in captivity. Time may be running out, but we are looking for more resources to take advantage of the time that remains." The Darien National Park is a World Heritage site and represents one of Central America's largest remaining wilderness areas. In 2007, Dr. Doug Woodhams, a research associate at the Smithsonian Tropical Research Institute, tested 49 frogs at a site bordering the Darien. At that time, none tested positive for the disease. In January 2010, however, Dr. Woodhams found that 2 percent of the 93 frogs he tested were infected. "Finding chytridiomycosis on frogs at a site bordering the Darien happened much sooner than anyone predicted," Dr.
A team of Melbourne scientists has discovered a new type of cell in the immune system. The new cell type, a kind of white blood cell, belongs to a family of T-cells that play a critical role in protection against infectious disease. The team’s findings could ultimately lead to the development of novel drugs that strengthen the immune response against particular types of infectious organisms. It is also potentially significant for many other important diseases including allergies, cancer, and coronary artery disease. The research team includes Dr Adam Uldrich and Professor Dale Godfrey from the University of Melbourne, Dr Onisha Patel and Professor Jamie Rossjohn from Monash University and Professor Mark Smyth from the Peter MacCallum Cancer Institute. The discovery, published online on June 12, 2011, in the international journal Nature Immunology, represents a fundamental advance in understanding the different components of the immune system and how this system casts a net wide enough to catch all kinds of different infectious organisms. Typically, when the body is threatened with bacterial or viral infection, molecules called T-cell receptors interact with protein fragments (called peptides) from the bacterium or virus, triggering the immune response. This process has been widely studied and leads to the killing of microbes and protection against severe infection. While the immune system is known to focus on proteins from viruses and bacteria, some T-cells in the immune system (known as NKT cells) can recognize lipid-based, or fatty, molecules. As such, there is great enthusiasm for the potential of these lipid-sensing T-cells in the development of novel vaccines. This team has identified a new type of NKT cell that can specifically target lipids found in the cell walls of bacteria, including Mycobacteria. A dramatically better computer tool for finding the genetic missteps that fuel cancer has been developed by St. Jude Children's Research Hospital – Washington University Pediatric Cancer Genome Project investigators. Researchers are using the new algorithm to help identify the chromosomal rearrangements and DNA insertions or deletions unique to cancer. The new computational method is known as CREST, short for Clipping Reveals Structure. Using CREST, researchers identified 89 new structural differences in the cancer genomes of five St. Jude patients with a subtype of acute lymphoblastic leukemia (ALL) known as T-lineage ALL. CREST revealed complex chromosomal rearrangements, including one that involved four chromosomes. Investigators also used the tool to find 50 new variations in melanoma cells. Melanoma is the most serious form of skin cancer. The study appears in the June 12, 2011 advance online edition of the scientific journal Nature Methods. "CREST is significantly more accurate and sensitive than existing methods of finding structural variations in next-generation sequencing data. It finds differences between a patient's normal and cancer genomes other tools cannot find," said Dr. Jinghui Zhang, an associate member of the St. Jude Department of Computational Biology. She is the study's senior author. "Similar tools miss up to 60 to 70 percent of these structural rearrangements in tumors. CREST ensures that scientists will be able to find important structural variations that play critical roles in tumor formation." Dr. Zhang said the need for new ways to identify the genomic variations that lead to cancer became clear shortly after the genome project began. The St.
Five cheetah cubs were born on May 28, 2011 to 6-year-old Amani at the Smithsonian Conservation Biology Institute in Front Royal, Virginia. Amani is a dedicated mother according to keepers, who have observed her nursing and grooming the cubs. This litter is particularly significant to the Association of Zoos and Aquariums’ Species Survival Plan for cheetahs because cheetah births in zoos across the country have dwindled. The SSP matches animals across the country to ensure genetic diversity in the population. This is the only litter of cheetahs born this year in a North American zoo. 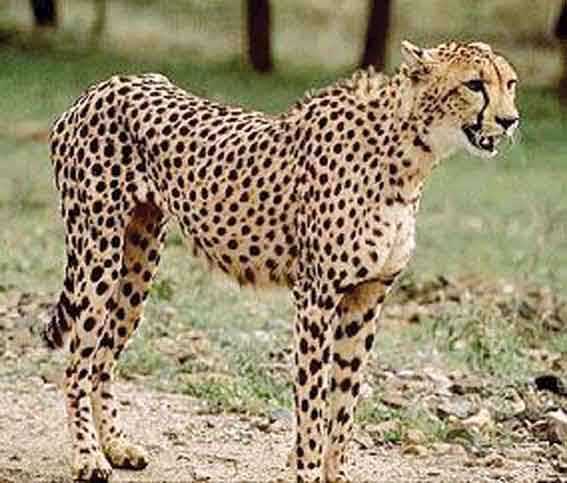 Cheetah experts recently met to discuss dramatic management changes to bolster the population, recommending that cheetahs that are genetically valuable and of reproductive age be moved to one of nine breeding centers—eight in the United States and one in Canada. This will give the animals more space and mating options, increasing the odds of successful reproduction. “We are very excited that Amani had such a large litter of cubs this time,” said Adrienne Crosier, SCBI cheetah biologist. “These cubs are very significant for the future of the population, and each birth gives us an opportunity to learn more about cheetah biology and how females raise their young.” The mortality rate for cheetah cubs in human care is 20 percent during the first six months, compared to a mortality rate of up to 70 percent in the wild population in east Africa. Keepers will continue to monitor the newborns. In addition to the litters born at SCBI in Front Royal, two litters of cheetahs have been born at the Zoo’s Washington, D.C. facility since 2004. SCBI is one of five centers participating in research to boost the captive cheetah population as part of the Conservation Centers for Species Survival, also known as C2S2. Cells grow abundantly when oxygen is available, and generally stop growing when it is scarce. Although this seems straightforward, no direct link has ever been established between the cellular machinery that senses oxygen and that which controls cell division. Now, in the June 10 issue of Molecular Cell, researchers at Johns Hopkins report that the mini-chromosome maintenance (MCM) proteins, which promote cell division, also directly control the oxygen-sensing hypoxia-inducible factor 1 (HIF-1) protein. "It's always been a mystery why a vast excess of MCM proteins is present in cells, but now we have discovered at least one reason," says Dr. Gregg Semenza, the C. Michael Armstrong Professor of Medicine, director of the vascular program in Hopkins' Institute for Cell Engineering and a member of the McKusick-Nathans Institute of Genetic Medicine. "Our data indicate that MCMs mediate crosstalk between the cell division machinery and proteins that help cells react to changes in their surroundings." Since discovering HIF-1 in the 1990s, Dr. Semenza's team has been studying how it works to sense oxygen levels and turn on genes that help cells survive when oxygen is low. To find proteins that HIF-1 physically interacts with, the team went on a biochemical fishing expedition and, using HIF-1 as bait, pulled out MCM7. MCM7 is a member of a larger group of related proteins that are known to bind to DNA and start its duplication when a cell gets ready to divide. Using a different protein-binding technique, the team then found that HIF-1 also binds to MCM3. When it senses low oxygen levels, HIF-1 turns on genes that enable cells to adapt, such as genes that stimulate the growth of new blood vessels and genes that alter a cell's metabolism to change how much oxygen it consumes for energy generation. Researchers at Children's Hospital Boston have found a marker called ABCB5 that both tags a small proportion of cells within colorectal cancers and fuels resistance in those cells to standard treatments. The results indicate that eliminating ABCB5-expressing cells is crucial for successful colorectal cancer treatment, while adding to the growing body of evidence for a theory of cancer growth called the cancer stem cell hypothesis. An international team led by Drs. Brian J. Wilson, Tobias Schatton, and Markus Frank, of the Transplantation Research Center at Children's Hospital Boston, and Dr. Natasha Frank, of the VA Boston Healthcare System and Brigham and Women's Hospital, and colleagues at the University of Wurzburg in Germany reported the findings online in the journal Cancer Research on June 7, 2011. An estimated 141,000 Americans will be diagnosed with colorectal cancer this year. While its mortality has been dropping over the last two decades thanks to screening and improved treatment options, colorectal cancer is still the second leading cause of cancer-related death in the United States. Recognizing ABCB5's role as a marker of tumor recurrence in melanoma and liver cancer, and knowing from previous studies that the gene for ABCB5 is also active in colorectal cancer, the Franks' team studied the protein's expression in both normal and cancerous colorectal tissue specimens. They found that ABCB5 is found only rarely in healthy colorectal tissue, but is present at levels 23 times greater in cancerous tissue. Underscoring its preferential expression on stem cells, ABCB5 was frequently accompanied on both healthy and cancerous cells by a second protein, CD133, which is thought to be a marker of both healthy intestinal stem cells and colorectal cancer stem cells. CD133 is also associated with aggressiveness in colorectal cancer. An International Rett Syndrome Foundation-funded study published online on June 2, 2011, in the journal Science has shown that the childhood disorder Rett syndrome (RTT), can be reestablished in adult animals by "switching off" a critical disease-causing gene in healthy adult animals. The gene was "switched off" in adult mice by use of a sophisticated genetic trick, resulting in the appearance of behaviors typically seen in RTT. The leading author Christopher McGraw, MD/PhD student, carried out the study in the laboratory of Dr. Huda Zoghbi, a renowned neuroscientist based at Baylor College of Medicine, and director of the Jan and Dan Duncan Neurological Research Institute at Texas Children's Hospital in Houston, Texas. In 1999, Dr. Zoghbi's laboratory made a central discovery, identifying the causative link between mutations in the gene methyl-CpG-binding protein 2 (MeCP2) and RTT. This work led to other studies showing that MeCP2 protein is critical for the proper functioning of nerve cells during development and into adulthood. In 2007, a further study conducted by Dr. Adrian Bird, at Edinburgh University in the UK, showed the neurological symptoms of RTT can be reversed by reactivating MeCP2 in an adult mouse where the disease is already established. This work provided a critical proof of concept that symptoms of the disorder may be reversible in humans; however, to date it was not known whether the early developmental period was important in establishing the course of the disease. This new study argues that early expression of the gene does not protect against the development of symptoms if the disease gene is later inactivated. Commenting on the study, Dr.